Craigends. Rebuilt by David Bryce, 1803-1876. 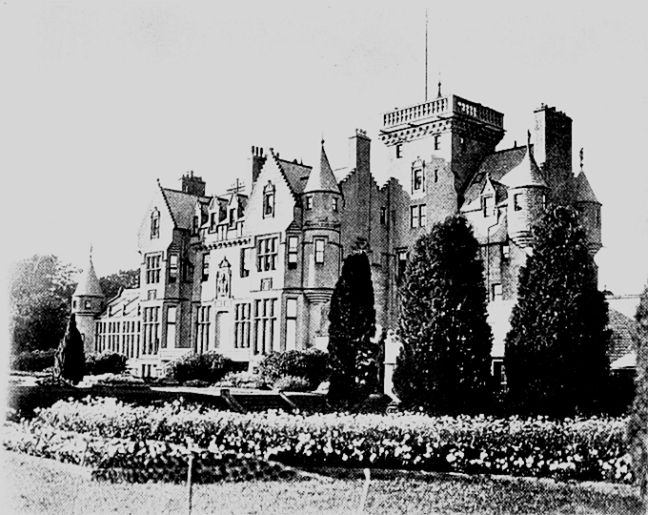 1857-9 (mostly demolished 1971; entrance tower demolished 1980). Houston, Renfrewshire, Scotland. [Original 15c. building on this site] This country house, designed for Alexander Cunninghame, represents the climax of Bryce's "mainstream, irregularly planned Scotch Baronial" works. The tower which dominates the entrance façade was loaded with such features as balustrades, balcony, cast-iron work etc. "With swaggering panache, Bryce deftly balanced an overall richness with due emphasis on the most important elements of the building" (Gendinning et al. 279). 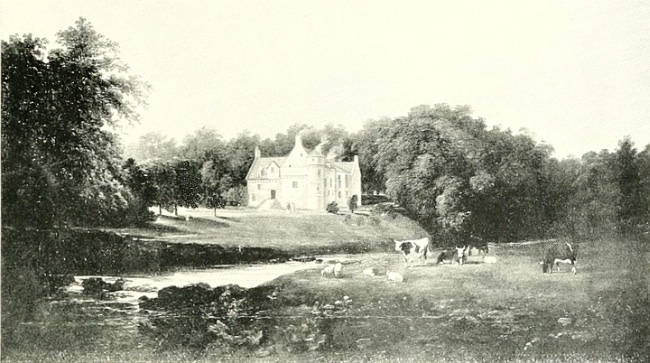 Picture taken from MacKenzie, folowing p. 192 (the original building here is shown above it, on the same page). Caption and commentary by Jacqueline Banerjee, 2010. Glendinning, Miles, Ranald McInnes, and Aonghus MacKechnie. A History of Scottish Architecture: From the Renaissance to the Present Day. Edinburgh: Edinburgh University Press, 1996. Mackenzie, Reverend Robert D. Kilbarchan: A Parish History. Paisley: Alexander Gardner, 1902. Available on the Internet Archives, here.